Jennie has worked in administration and customer service for over 25 years and as a dental receptionist for almost 10 of those years. She is originally from Nova Scotia and being a military spouse has lived in several locations before settling in Ottawa. She loves spending time with her family and socializing with friends. Jennie enthusiastically enjoys meeting and greeting patients and her compassionate and understanding nature is a welcome contribution to our practice. Ashley graduated from Brantford in 2015 as a Certified Level 2 Dental Assistant. She worked in Brantford for about a year and then she moved to her home town Ottawa and joined our practice in 2017. In her spare time she volunteers with bullies in need, hangs out with family and friends. She loves snowboarding and traveling. Ashley looks forward to providing a welcoming and friendly environment to our patients and making sure your visit is a relaxed and pleasant one. 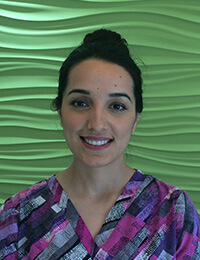 Bareen has over 6 years of experience in dental field. She has been practicing as a Registered Dental hygienist since graduating with honors and highest GPA from The Canadian National Institute of Health. Prior to this, she was a Level II Dental Assistant. Her passion is to provide individualized treatment plan to address her clients needs and goals in order to achieve the best overall oral health. Bareen is active in the dental community and is committed to continuing education and staying up-to-date. She is currently working towards her Health Science degree. When she is not working she can be found travelling or spending time with family and friends. Denise is originally from Rwanda, moved to Canada in 2009. She is in the dental field as a certified dental assistant for 7 years. She loves being part of the practice that puts patients first and continuously strives for improvement. She is so caring and friendly and will make you feel at ease. She Enjoys traveling, exploring different cultures, cuisine, learning new languages, cooking and outdoor activities like biking, hiking and rock climbing. 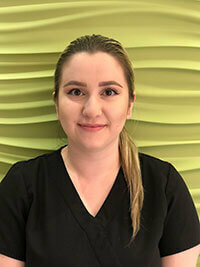 Nikoo graduated with Honours from Algonquin College's Dental Hygiene program in 2017, and has a Bachelor of Science degree from the University of Ottawa. She has been practicing full-time as a Registered Dental Hygienist since, and aims to provide the best oral health care to her clients to meet their individualized, optimal needs. In her spare time, Nikoo enjoys spending time with her family, friends, and her beloved cat. She has a passion for travel and encountering new experiences. Nikoo is a knoweldgable, gentle, and caring dental hygienist that looks forward to meeting you! Our practice offers a wide range of cosmetic dentistry options (such as bonding, veneers, crown and teeth whitening) to provide each patient with individual dental care to achieve our goal of improving or maintaining the appearance of your smile. Education, prevention, positive motivation and quality treatment is our top priority when caring for your child’s oral health. We pride ourselves in our ability to listen to all your questions and concerns as this is the key to accurately providing your family with the information you need to make the best decision for the oral health of your child. We look forward to meeting with you and working together to make every dental visit a great experience for both you and your child. And until your appointment, we recommend you to take a look at our web page dedicated for children where you can find a Oral Health Education Database for you and your children, as well as a few games to entertain your kids. The following forms can be downloaded to your computer. Please fill out these electronic forms, save and send the completed PDF files to: info@bankdentistry.com. Very nice staff, understanding, empathetic, friendly. I took my four year old son to Dr. Saba for his first dental visit. He was very anxious, but Dr. Saba was very patient with him and made it an enjoyable experience for him. It was very much appreciated! Dr. Saba, Marie, Jennie and Julie are extremely professional. I've always felt that my problems were listened to compassionately and acted upon as quickly as possible. I couldn't ask for better dental care! Dr. Saba is the best dentist I have ever had! After a horrible experience with a previous dentist I went to Dr. Saba with some reservations about dentistry. She put me completely at ease! 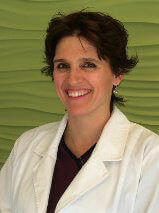 She is compassionate and caring and truly takes time with her patients. Her work is fantastic!! She has done fillings and root canals on me, and all have been painless. I would like to thank Dr. Saba and her staff at Bank street Dentistry. Dr. Saba was very kind and knowledgeable. I strongly recommend her to my family and friends. I am extremely pleased to have found Dr. Saba. I am extremely nervous before and during dental visits and she took time to calm me down. She even asked Marie, her assistant, to hold my hands. Dr. Saba was explaining everything and seems to be very knowledgeable doing great work. She takes her time and I never felt rushed being in her clinic. During all the time I was in the clinic, I felt that I was the most important person for everybody in the office. I very much recommend Dr. Saba. Dr. Saba and Marie have turned me from an anxious patient to one who is so relaxed, that I actually became drowsy in the chair! Never thought I would see that day! And my new crown feels terrific and my teeth are happy campers! Thanks again for the always professional and compassionate service! Excellent care as always. Very professional yet made me feel an important patient. Very caring attitude. Thank you so much Dr. Saba. Fell asleep during a root canal. What more can I say? Except, THANKS Dr Saba! My experience with Dr. Saba has always been first class. Smile. Thank you. I would like to thank Dr. Saba and her assistant for their patience with me. I am always very nervous, and they take their time with me and do not rush through any procedure. thank you very much for this. It truly is a blessing to have a team as great as yours when I have my visits. Sam, my 7 yr old son had to have 4 teeth removed for braces. He was nervous and did cry a bit but was reassured by all the staff and I was amazed at how caring and compassionate everyone was. Going to the dentist is like going to see friends...except more expensive,lol. "The entire staff is always professional and friendly. I have complete confidence in their work. I am always calm and relaxed because that is the atmosphere they create. I would not hesitate to recommend them to others, and have done so frequently in the past. I would not trust my teeth to anyone else." "My family and I have been with Dr. Saba for a few years now and we receive nothing but great service from the staff and Dr. Saba. Thank you kindly!" "Dr. Saba is a kind and gentle professional dentist that I am very comfortable with. My experiences with your office has always been great." Even though I was very nervous and scared to go through that procedure due to very bad previous experiences with another dentist, I felt very supported by Dr Saba and her assistant Mary. I think I was at the best place to have that procedure done. What can I say when Dr Saba is my dentist and my wife is her assistant. Nevertheless, I get the same professional attention that I'm sure every client gets. Dr. Saba and Marie were efficient, as always. Pleasant and informative. My son Jake visited the dentist to have what ended up having two cavities filled,his first time for this kind of procedure. Kudos to Dr. Saba - Jake handled the procedure calmly and without any distress - testament to the dentist's skills and the staff's support. Thank you! As usual, the team of Dr. Saba and Marie were fantastic! A big thank you to Jennie who was able to fit me in to see Dr. Saba when my tooth broke on the weekend and to Dr. Saba for once again taking care of my problem so professionally, quickly and painlessly! Thanks again! Dr. Saba is a very nice dentist. Excellent: Dr. Saba and support staff did excellent work. Another enjoyable visit. Everyone was so nice and cheerful as usual. They are always on time, caring, attentive. Everybody makes an effort to make an your visit a pleasant experience. I recommend them very highly if you're looking for a dental clinic. Thank you very much Jennie, Marie and Dr Saba. Needed quick work for a chipped tooth. Dr Saba fitted me into a very busy schedule and made the necessary repairs. Went for root canal and crown yet the experience was painless and very effective. The whole staff is friendly, professional always and very caring. Dr. Saba is highly trustworthy and efficient. I've been a patient of Dr Saba and the clinic for quite a long time and the service is always excellent. They are punctual, friendly knowledgeable and professional. From the receptionists, the dental assistant, the hygienist and the Dr herself, the service is always excellent. I have never had a bad experience and I highly recommend them. From the moment I am greeted when I arrive to the time I leave, I am always treated with respect, compassion and kindness and most of all, professionalism! A great experience, once again! Thank you for making my visits so painless and stress-free!As always, Dr. Saba, Marie are simply terrific. I only wish I had switched dentists years ago! Dr. Saba & Marie are the best! Great teamwork and consummate professional staff throughout this practice make dental visits pleasant. We accept most insurance plans and payments by Visa, MasterCard and Debit. Bank Dentistry has another gift for a lucky patient. A May Long Weekend Camping Basket! Enter your name every time you visit our office for a dental procedure and you can be the lucky winner of our Camping Basket! Draw will be held May 15th 2014. Good luck and have a great spring! Just enter your name every time you visit our office for a dental procedure and you can be the lucky winner of this beautiful Canada Day BBQ basket! Draw will be held June 27 2014. Getting back to school means getting back into routine and of course back to making lunches. It is always hard to come up with great new lunch ideas that our children enjoy, so we are looking to you to share your suggestions on items that you send for your children’s lunches. Do you have a creative sandwich that your child loves, a great healthy snack suggestion? Please post them on our Facebook page and you will be entered into our draw for a beautiful gift basket. The contest will be close on Friday September/29/2014! Nov 3rd - Nov 10th @ 1189 Bank Street from 3-5 pm daily (during open hours). Trade your Treats for a Surprise Gift Bag from Bank Street Dentistry. All the treats will be donated to a local charity. Just enter your name every time you visit our office for a dental procedure and you can be the lucky winner of this Philips Sonicare electric tooth brush with UV sanitizer!.